What are laser treatments for acne and acne scars? Besides, as an esteemed dermatologist and skin specialist, Dr Peter is a renowned doctor in treating various skin conditions. He also prides himself in being able to treat acne patients of all types, with a 100% acne treatment success record! Laser treatments can also be used for all types of acne scars. When there’s acne on your face, there’s bacteria. And these bacteria has pigments. Using the laser, these pigments of the bacteria absorb the light of the laser. The light heats up the bacteria, and ends up killing the bacteria. Besides, this bacteria is found in the oil gland, so by heating up and killing the bacteria, you can also reduce the oiliness of your gland, and subsequently shrink the size of the gland. In other words, oily skin can be treated as well. Both Fractional Carbon Dioxide (Fractional CO2) and Copper Bromide lasers can be used in treating acne scars and effectively removing them. 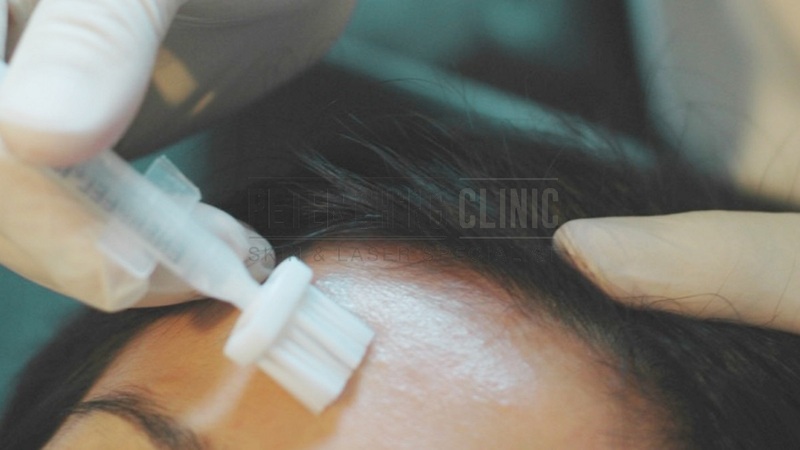 Laser treatments can treat acne scars effectively too. During the laser treatment process, the segmented lasers emits rays directly on the skin, creating tiny wounds that are invisible to the naked eye. These rays trigger collagen production and restoration, allowing your skin to smooth out the acne scars with healthy collagen quickly. While certain home remedies may be useful in temporarily soothing your skin condition, carelessly applying the wrong or unsuitable substances on your acne may cause a worsening of acne. Some “remedies” like lemon and tea tree oil may even cause contact eczema – you won’t want that! Acne is usually a long term problem, and it requires regular management and maintenance during the recovery period. Also, we want to treat the root cause of these scars and also acne, so if we just cover them with makeup and concealers, these will always only be a camoufalge. Furthermore, by concealing our acne scars, we are blocking our skin pores even more. And because of this, acne will be even worse, resulting in more acne scars. Acne is temporary, but acne scars can be permanent. So do not take any risks or shortcuts in treating acne, or the scars left by untrained hands or unverified treatments may not be worth it! Speaking of acne, there are also many myths about acne that people often misunderstand. Here are some of them! Acne only happens during teenage years: FALSE. Acne happens more frequently in patients age between 13-19 year old but about 50% of them will continue to have acne into adulthood. Acne happens only on the face: FALSE. Acne can also appear on the chest and upper back. Eating spicy food aggravates acne: FALSE. 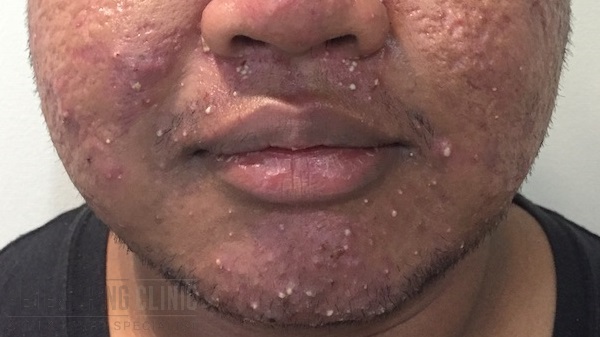 There is some evidence that low glycaemic index and high fibre diet food such as vegetables and beans may reduce the number of acne lesion but it cannot be used as a monotherapy meaning by just changing your diet, your acne is not going to get away. We need to squeeze out those pimples. FALSE. First of all, if you use your hands to squeeze it, without cleaning it properly, bacteria can enter into the skin and cause infection. Secondly by forcing the pimples to come out without the proper technique, you may injure the deeper part of the skin and cause scarring. 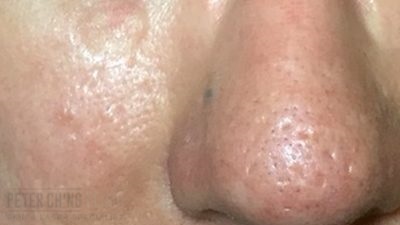 We have a proper technique called comedone extraction whereby we make a small incision very superficially on the white head and express out the content using a comedone extractor. We should put on more moisturizer. FALSE. By putting moisturizer on an oily skin, you are actually causing further blockage of the hair follicles and thus making the acne worse. Look for products that are non-comedogenic i.e won’t block the pores. See more of Dr Peter speaking about acne in the video below! To enquire more about Laser Treatments for Acne and Acne Scars, contact us or book an appointment here!